Banana Gloss is a premium liquid wax with a deep glossy shine. If you want easy, waxing with Banana Gloss couldn’t be any easier. It works on hot paint, cold paint, in the sun or in the shade. It won’t stain trim or leave white residue. It dries almost instantly, so waxing becomes a quick and easy project. If that wasn’t enough, Banana Gloss wax will actually fill and conceal some pretty heavy paint swirls. Do you see “spider webs” when you look at your car in the sun? Try some Banana Gloss. 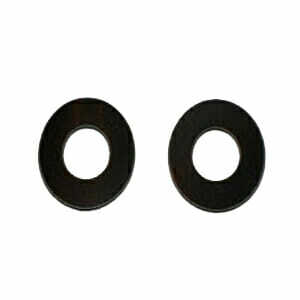 The visual improvement after application will be significant as well as the added protection. Banana Gloss has a complex resin that levels the paint while providing protection and durability. There is a touch of carnauba in our Banana Gloss wax that will create an added depth look in your paint after application. Black paint looks like a deep pool of oil and paint with metal flake looks bass boat thick. There is quite a bit going on here but this is one of the easiest and safest waxes to use. You get easy application, paint cleaners, no white residue, trim safe, swirl concealing and of course, protection. All that is left is durability. You should see a good 45-60 days on a daily driver before needing another application. It works on hot paint, cold paint, in the sun or in the shade. It will NOT stain trim or leave white residue. It dries almost instantly, so waxing becomes a quick and easy project. If that wasn’t enough, Banana Gloss will actually fill and conceal some of your paint swirls. Do you see ‘spider webs’ when you look at your car in the sun? Try some BG. The improvement will be significant. Banana Gas contains a complex resin that levels the paint while providing protection and durability. There is quite a bit going on here… You get easy application, paint cleaners, no white residue, trim safe, concealing and of course, protection. All that is left is durability. You should see a good 45-60 days on a daily driver, but with a wax this easy, you may not find out. 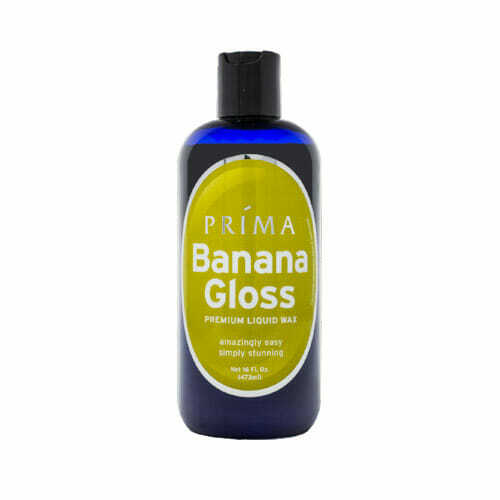 Prima Banana Gloss: Amazingly easy, simply stunning.